Overwintering container perennials will allow you to keep them for next year’s bloom time. Perennials planted in containers are susceptible to frost and cold temperatures during the winter. Even though soil is an insulator, there is not enough of it in container gardens to provide adequate protection. The roots are more exposed to the cold. In order to have healthy plants in the spring, take some steps to prepare your perennials for the winter. This is called over-wintering. When you first plant perennials that you plan to overwinter, use the biggest container that is practical. The more soil in a container, the more insulation there will be for the roots of the plant. Overwintering container perennials will be most successful if you plant perennials indicated for your hardiness zone. Many experts suggest that you choose plants that are hardiness rated 2 zones colder than your own for best results. Your choice of pot material is important when overwintering container perennials. Traditional terracotta is too porous to be left outdoors and will easily crack. Plastic, fiberglass and wood are better choices. To protect roots from freezing in the winter, or overheating in the summer, try insulating your pots before planting. For square or rectangular containers, use rigid polystyrene insulation to line the container. For large round or curved planters, try bubble wrap. Just insulate the sides – not the bottom – don’t cover up any drainage holes. One method for overwintering perennials in pots is to put them in the ground. In late autumn, dig a hole big enough to set the whole container in and then cover it with mulch, evergreen branches or leaves. In the spring, bring the pot up out of the ground and it is ready to go another blooming season. Just make sure you bring the pot up out of the ground early enough in the spring so that the plant doesn’t start to grow roots through the drainage holes in the container. Overwintering container perennials can also be accomplished by storing them in a cool, unheated garage or shed. Many shrubs, trees and perennials need cold to make them become dormant in the winter so that they will bloom or bear fruit the next year. 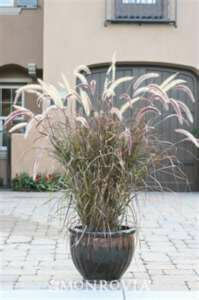 In late fall, thoroughly water the containers one more time and then move them indoors. When overwintering perennials out of doors, place the containers together against an outside wall – preferably with an overhang or some other kind of protection. Don’t place the containers up on a deck or anywhere that will expose them to more air. Mulch the soil to insulate it and then cover the plant with burlap for quick protection. Use plastic bubble wrap or burlap sacking to surround the container. Tie with string to secure. Add some straw or leaves between the wrap and the pot for added insulation. Plants do not need watering in winter unless they are sheltered from the rain. Even then, water sparingly and not during periods of freeze or frost. Once the danger of frost is over, move your plants back out again. Prune dead leaves or stems from the top of the plants. Water thoroughly. It’s a good idea to remove the top layer of soil (2-3 inches) and replace it with new soil that has been mixed with fertilizer. If you are bringing plants indoors, take some precautions to make sure you don’t bring bugs in with them. Spray the plants with inseciticidal soap several weeks before you bring them in, and do it a second time two weeks prior. Examine the plants and containers for pests and spray the foliage well with the garden hose. Ornamental evergreens like arborvitae and juniper are hardy specimen plants that work well in containers and can tolerate cold temperatures. Insulate outdoor containers for these shrubs with bubble wrap, straw and mulch. Make sure to insulate the sides and bottoms of the container as well as the shrub. Water the plants until freezing temperatures occur. Use containers made of materials other than terra cotta. Experts suggest choosing plants that are suited for hardiness zones that are two zones colder than your own. Depending on where you live, asters, columbine, daisies and dahlias over-winter well. Insulate them and their containers and keep in a sheltered area for the winter. You can also mulch over them, or store them in a cool, unheated garage or basement over the winter. 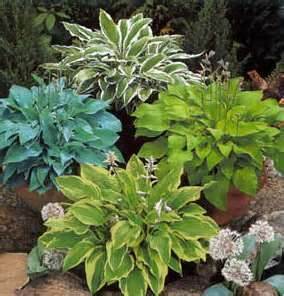 Many perennials that are used for foliage in container gardens will over-winter well. Golden sword yucca, moneywort, sedum and bergenia are some examples.